1) Where did the idea come from? The idea for the film came from the Marvel comic books. 2) Which studio agreed to the film? 3) Who owns that studio? Marvel Entertainment (The Walt Disney Company). 4) What was the film's budget? 5) Who was the film's producer? 1) Who wrote the script? Joss Whedon was the eventual writer of The Avengers script, originally it was Zak Penn but his first draft was gotten rid of and Whedon had to write the script pretty much from scratch. 2) Who directed the film? Joss Whedon also directed the film as well as writing the script for it. 3) Who starred in the film? It's stars include Scarlett Johansson, Mark Ruffalo, Chris Hemsworth, Jeremy Renner, Tom Hiddleston, Chris Evans, Clark Gregg, Cobie Smulders, Stellan Skarsgard, Samuel L. Jackson & Robert Downey, Jr.
4) In which country was it filmed? 5) Which locations were used? Albuquerque, New Mexico, California, outside Pittsburgh, Pennsylvania in the Butler area, Worthington, Pennsylvania at Creekside Mushroom farms, Cleveland, Ohio (East 9th Street acted as New York's 42nd Street), large vacuum chamber at NASA Plum Brook Station near Sandusky, Ohio and their Space Power Facility, Chevrolet powertrain plant in Parma, Ohio, Public Square and Detroit Superior Bridge, and New York (especially in Park Avenue and Central Park). 1) How long did filming take? Principal photography began on April 25th 2011 and I can not find out when filming ended but I assume it was near the end of 2011 as it was released in 2012. 2) Which cameras were used to film? Canon EOS 5D Mark II and 7D Digital SLR cameras were used for some shots and high speed shots were captured on 35mm film with the Arriflex 435. 1) Who was the film's editor? Jeffrey Ford and Lisa Lassek. 2) When was the film released in the UK and the USA? It was released on the 26th April 2012 in the UK and in the USA it was released on the 11th April 2012. 3) What special effects were used? The special effects used were to create things including the Helicarrier, the New York cityscape, Iron Man, digital body doubles and the Hulk. Special effects include the compositing digital backgrounds into shots that were filmed against a greenscreen for scenes taking place inside the Helicarrier. Other special effects include digitally recreating the majority of the New York cityscape used in the film. To do this artists rendered an area of about ten city blocks by about for city blocks. A team of photographers then took pictures of the area in a shoot that lasted 8 weeks. To create the on-screen Hulk, Mark Ruffalo performed in a motion-captures suit on set with the other actors while four motion-capture HD cameras captured his body movements and face. For scenes taking place in Manhattan they shot aerial footage to use as background plates. Many more special effects were used as well as the ones mentioned. 4) Find three marketing campains used for the film? Posters, premieres & games and apps (for example Avengers Alliance that has 1.2 million users playing a day, and this helps to spread the word online). 5) Find 5 film reviews and summarise them. 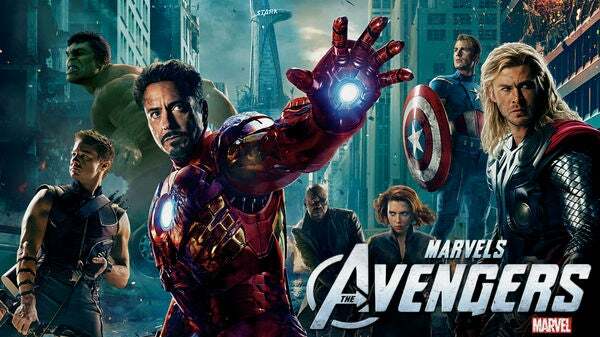 The Avengers received mostly positive reviews. One review is quite negative saying that the film's CGI is unimaginative and unnecessarily long. One review is very positive calling it one of the top ten films of 2012. Another review is also extremely positive calling it an 'epic moment in cinematic history'. Another review says that fans of Marvel will be extremely pleased with the film, saying that it will feel like Christmas has come to them. One review says that it is an enjoyable experience that will 'please both fanboys and the public at large'. 6) How much did the film make at the UK box office? 7) How much did the film make at the US box office? 8) How much did the film make in total? $1.5 billion at the box office. 9) How many DVD versions exist? Les Miserables is adapted from the musical of the same name, that was based on the novel by Victor Hugo. 2) Which studio agreed to make the film? Relativity Media, Working Title Films and Cameron Mackintosh Ltd.
3) Who owns them studios? Ryan Kavanaugh, Ron Burkle and Colbeck Capital own Relativity Media, NBCUniversal, Universal Studios and Comcast own Working Title Films, and Cameron Mackintosh owns Cameron Mackintosh Ltd.
5) Who were the film's producers? Tim Bevan, Eric Fellner, Debra Hayward and Cameron Mackintosh. William Nicholson, Alain Boublil, Claude-Michel Schonberg and Herbert Kretzmer. Hugh Jackman, Russel Crowe, Anne Hathaway, Sacha Baron Cohen, Helena Bonham-Carter, Eddie Redmayne, Aaron Tveit, Samantha Barks and Amanda Seyfried. It was filmed in England and some on-location filming took place in France. Boughton House, Winchester College, Winchester Cathedral Close, Her Majesty's Naval Base Portsmouth (Chatham Dockyard), St Mary the Virgin Curch (Ewelme, South Oxfordshire) Pulteney Weir (Bath, Somerset) and Pinewood Studios. A replica of the Elephant of the Bastille was made in Greenwich. Filming also took place in Gourdon, Alpes-Maritimes in France. Principal photography began on March 8th 2012 and filming finished in October 2012. Arricam LT, Zeiss Master Prime, Ultra Prime and Angenieux Optimo Lenses and an Arricam ST, Zeiss Master Prime, Ultra Prime and Angenieux Optimo Lenses. Melanie Ann Oliver and Chris Dickens. In the UK it was released on the 11th January 2013 and in the USA it was released on the 25th December 2012. 3) What special effects were used?Visual effects artists created oceans, crowds, ships and environments. 4) Find three marketing campaigns used for the film?Posters of main characters were released, in May 2012 a teaser trailer was released and then in September 2012 an extended first look at the film was released on it's official Facebook page. 5) Find 5 film reviews of the film, summarise them. 10) When was the film released on DVD/Blu Ray? As I have commented to Tom Brown, the skill will now be forming an opinion on these facts. What constitutes a 'good' film, is merely selling a lot of tickets and DVDs enough or should critical acclaim and awards be the only judgement? Should films push boundaries? Should they aim to appeal to an audience above making an 'interesting' film etc?